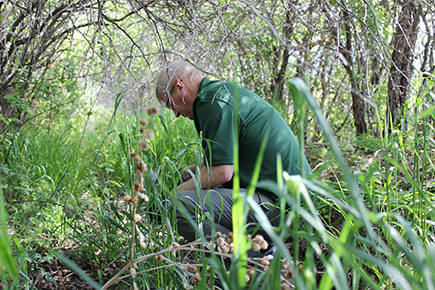 Utah’s Watershed Management Program is focused on protecting and restoring the water quality of our streams, lakes and ground water resources by employing the following key elements: Stewardship, Monitoring and Assessment, Coordination and Watershed Planning. In Utah, clean water is one of our most valuable and limited resources. When pollutants impair the use of water a study is required to determine how to reduce them and restore water quality. This study is called a Total Maximum Daily Load (TMDL). A TMDL establishes the maximum amount of a pollutant allowed in the water while maintaining all of its designated beneficial uses. Utah is required by law to identify polluted waters and to develop TMDL’s to help address these problems. The Clean Water Act requires every state to establish and maintain water quality standards designed to protect, restore, and preserve water quality in the state. These standards consist of narrative criteria that include designated uses, specific chemical and biological criteria necessary for protecting designated uses, and an anti-degradation policy. When a lake, river or stream fails to meet water quality standards, section 303(d) of the Clean Water Act directs the state to place the waterbody on a list of "impaired" waters referred to as the 303(d) list and prepare a plan to restore water quality called a Total Maximum Daily Load study (TMDL). Contact Carl Adams for additional information and staff contacts.